This might be the end (or beginning) of Russian privacy... depends on whether people start using VPN or not. Russia’s communications watchdog Roskomnadzor is cracking down on Telegram, the secure messenger. Hundreds of thousands of IP addresses where the service keeps migrating to are now under attack, but this tactic is directly threatening other online services using the same addresses. A total of 800,000 Amazon Web Services addresses and more than a million on Google’s Cloud are being targeted after March’s decision by the Supreme Court’s judicial wing to file a lawsuit to block the encrypted messenger from Russia’s servers. 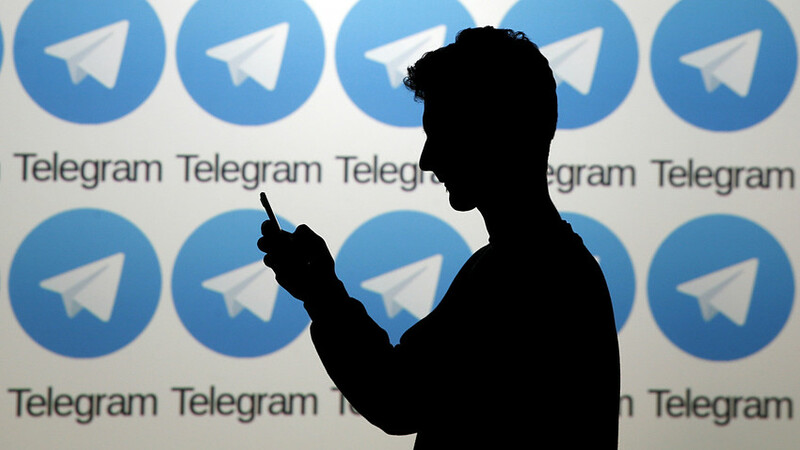 It came into effect after Telegram management declined to provide the decryption software for monitoring its traffic to Russian security services. The country’s main mobile networks and internet providers started blocking Telegram IPs from Monday. However, in a cat and mouse fashion Telegram has started migrating the app to publically available cloud servers. While it’s hard or even impossible to identify the exact IPs Telegram is using on these servers, Roskomnadzor continues to add addresses. The cloud services provided by Google and Amazon are being used by many other Russian small businesses which are already complaining that some of their websites and services have stopped working. The reaction from the Russian users of Telegram (there are about 15 million, according to the app’s own estimate) has been one of predictable dismay and anger – in part over the issue of privacy and due to the overall distrust in the government’s allusion to security concerns. As soon as it became clear that a full-on crackdown was on, users started boasting about using VPN and proxy servers, as well as TOR. But on Monday, Roskomnadzor head Alexander Zharov told Vedomosti that VPN servers are on the watch-list as well, together with any companies offering anonymized browsing. “This is a battle between artillery and armor: We ferret out the IPs to which the service migrates to, and block them. First, it used around 9,000 of its own addresses; we put them on the block list,” he said. “Then it migrated to Amazon (about 600,000 IPs), they too were then slated for blocking. At this moment, Telegram is on another resource of about 540,000 addresses, which are also up for blocking any moment now,” Zharov added. Thousands of services associated with Amazon’s and Google’s IPs are now facing a potentially tough time because of Telegram’s presence there. This may force the online giants to kindly ask Telegram to move on to greener pastures where it won’t cause so much damage. But Telegram founder Pavel Durov (the man behind the Russian social network VKontakte) has reacted to the latest court decision with cool disdain – failing to show up in court recently to discuss the matter – and is confident that VPNs are the way forward for Telegram. The company keeps sending users various little updates to keep things running smoothly, but millions of Russians are already feeling the squeeze. On Friday Durov posted on VKontakte, reaffirming his commitment to VPNs and urging customers to seek any available means to counter the block. The situation with stability remains unclear. Things have been getting worse since the decision on April 13, but some users report still being able to send and receive messages without using VPNs. Telegram users who haven’t mastered the use of proxies, VPNs or TOR, are now migrating to the likes of Whatsapp, Viber, Skype, and ICQ. This also includes government institutions. The government has been after the messenger for some time now, first trying to register Telegram as an information distributor, then attempting to strong-arm it into handing over keys to its back doors for easier message browsing. Durov fought long and hard before going to court in December to counter the aggressive crackdown, but lost out eventually due to the logic that handing over encryption keys to the FSB apparently does not contradict users’ right to secure communication. App Store and Google Play have in the last days seen a rise in the number of Telegram, WhatsApp, and Viber downloads. Roskomnadzor has already sent a request both to Apple and Google to delete the Telegram app from the stores. As the time of writing, it was still available to Russian users. How did Telegram become Russia’s hottest new media in politics?